Rahm Emanuel is an American politician and former White House Chief of Staff to President Barack Obama. He served as senior advisor to President Clinton at the White House from 1993 to 1998 and as a Democratic member of the United States House of Representatives, representing Illinois's 5th congressional district, from 2003 until his resignation in 2009 to take up his position in the Obama Administration. Two days after Obama's election victory, he was announced as Barack Obama's designate for White House Chief of Staff. Emanuel resigned from the House on January 2, 2009 and began his duties as Chief of Staff on January 20, 2009, the day of Obama's inauguration. 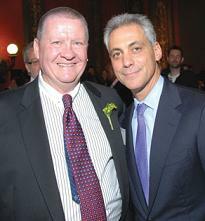 Emanuel resigned as Chief of Staff effective October 1, 2010, in order to pursue a campaign to run for Mayor of Chicago following the retirement of Richard M. Daley. Learn more here. 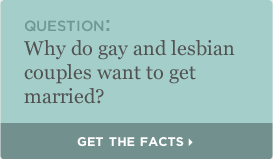 "WCT: Let's move on to another piece of legislation: DOMA [ the Defense of Marriage Act ] —was signed in 1996. Do you feel that it should be repealed? "Rahm Emanuel: Yes. Always have. You can go back to my questionnaire when I ran for Congress that was in your own paper. "WCT: So, back in '96 do you think that Clinton should not have signed it? "Rahm Emanuel: Look: I'm loyal to President Clinton. I'm loyal to President Obama. What my advice was... I don't need to get into what I personally advised them or what my own sympathies were. Freedom to Marry salutes Rahm Emanuel as a Voice for Equality! 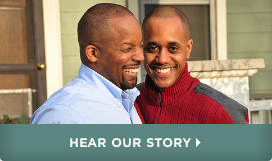 If Mr. Emanuel's support inspires you, take action by signing the Freedom to Marry Pledge.